Summer is a great time to hit the back roads and trails, in central Wisconsin, with your bike and a couple of full water bottles. Located north of Waupaca, in an area full of creeks and ponds, is a great bike trail called the Tomorrow River. It promises excellent views of rural landscapes that include farming, wildflowers, and lots of water. Biking on the Tomorrow River is ideal for getting away from the crowds and pondering the challenges of keeping a balanced life and crafting a sustainable lean organization. Our goals included putting the claims of great scenery and quiet isolation to the test by selecting Tomorrow River as our trail of the month. This trail is located about 10 miles north of Waupaca and runs 34 miles from Plover to Manawa. We will pick up the trail near the midpoint. Our base camp is the “mint cottage” on a cove off of Long Lake. This lake is part of the “chain-o-lakes” that offer an ideal vacation setting for those that enjoy boating, swimming, eating, biking, pondering, and a host of other activities. We start from the mint cottage and head north on county highway Q. These county roads are so enjoyable that you might forget that the Tomorrow River trail is your destination. So, back to where we need to go! Take highway Q about 5 miles and turn left on Peterson Road. Then take a left on Gilman Road. You will soon come to the Tomorrow River trail as it crosses Gilman Road. As this is about the midpoint, you can go in either direction. On this occasion, we will choose left and head to Plover. The village of Amherst Junction is split in two by the Tomorrow River trail. It is also a spot where the ghosts of the trail reveals themselves. This smooth long trail used to serve as the route of a railroad and parts of the old Green Bay and Western (GBW) Railroad can be found near downtown. One of the many chores of the GBW was to haul paper from the mills in Green Bay. I worked for one of those paper mills and seeing the old tracks reminded me of the power of solid strategy, lean processes, and great supply chain management. At Fort Howard Paper, everyone knew we sought to be the low cost producer. However, unlike many companies today, the goal of low cost involved investing in people, processes, and technology. I took a few moments to ponder how my early career in Green Bay is linked to our current core competencies at Transformance Advisors. As a gust of wind stirred up some dust, I heard the echo of a long ago train rumbling through the junction. Oops, that rumbling is my stomach! Must be time to get back on the bike and head back to Waupaca for lunch. Getting back to Waupaca includes both the Tomorrow River trail and the rustic country roads. Lunch is a choice between Weasels and T-Dub’s Public House. I decided on T-Dub’s for a “Build Your Own Gourmet Burger” and a pint of Central Waters Honey Blonde. The Green Bay & Western Railroad is a memory. Now, the tracks are gone and a great bike path is in place for those that need to get away and ponder challenges such as crafting a sustainable organization. If you need to get away for your own investment in pondering, then grab your bike and head to central Wisconsin! 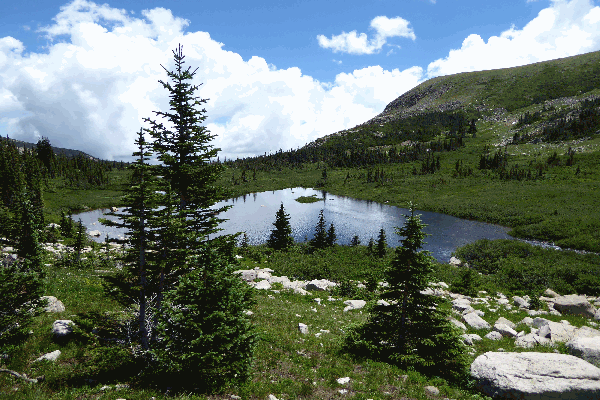 Read about the Oh Be Joyful trail near Crested Butte. Read about the Little Switzerland trail near Boulder. click here to create your own account. click here to follow us on LinkedIn. Please send an email to Transformance Advisors.